Wall mirrors add a touch of luxury and elegance to almost any room in your home. Decorative wall mirrors are mirrors with attractive frames offering a stylish alternative to standard mirrors. Mirrors can add so much to a space—they make rooms appear larger (that’s pretty cool, right? 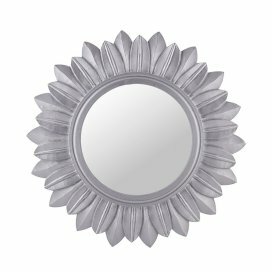 ), and oftentimes they can be more fun to decorate with than wall art!At Exclusive Mirrors we offer an extensive range of decorative wall mirrors coming in a variety of shapes, sizes and designs. Our range of decorative wall mirrors have been crafted using only the finest materials offering a luxurious feel to your home. Every product in our decorative wall mirrors range is offered at an incredibly affordable price, allowing you to achieve the look you desire without breaking the bank. 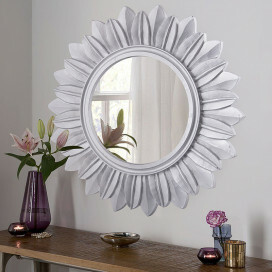 We hope you enjoy browsing our wonderful range of decorative wall mirrors. Our decorative wall mirrors have been designed to fit seamlessly into any home décor either traditional or modern.